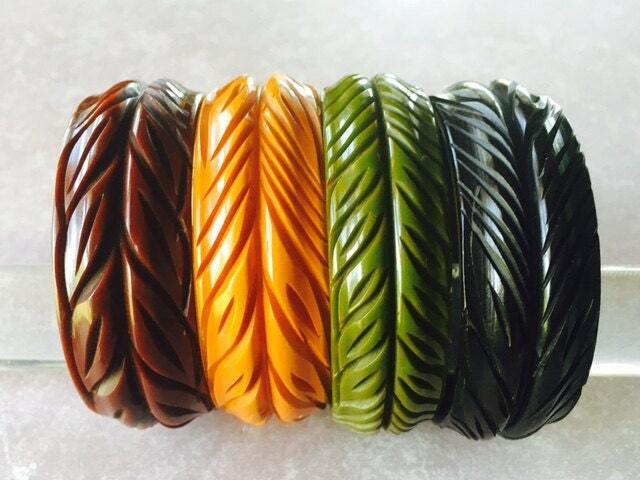 This is a set of 4 FOUR matched vintage Bakelite bangle bracelets.This set consists of a Olive green, Chocolate /brown, Black and Butterscotch bracelets each of which is a full 1 inch wide. 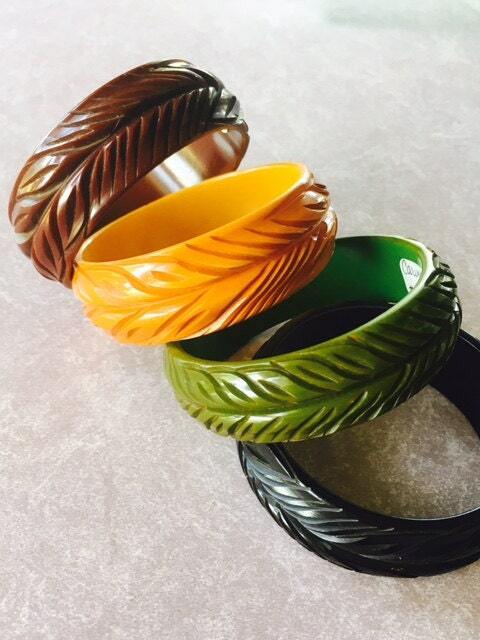 When Bakelite bangles were originally made, the designs were often available in more than one color. In the past seventy or so years these bangles have scattered to the four corners of the earth. Reassembling a matched set today requires dedication and patience and can take years to accomplish. 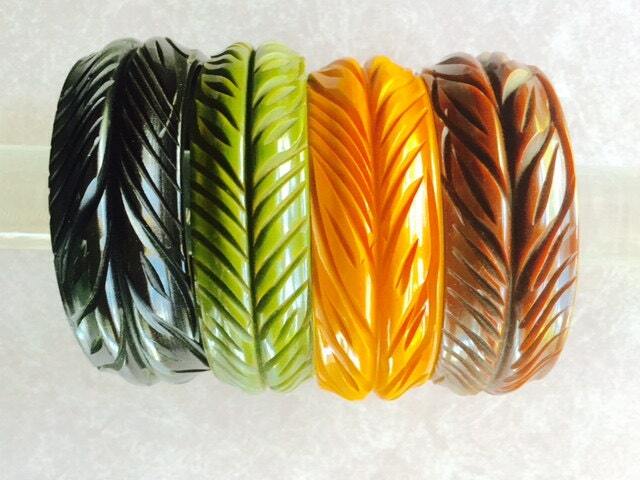 A fine matched set of Bakelite bangles like these are rarely available for sale. These are from my personal collection. 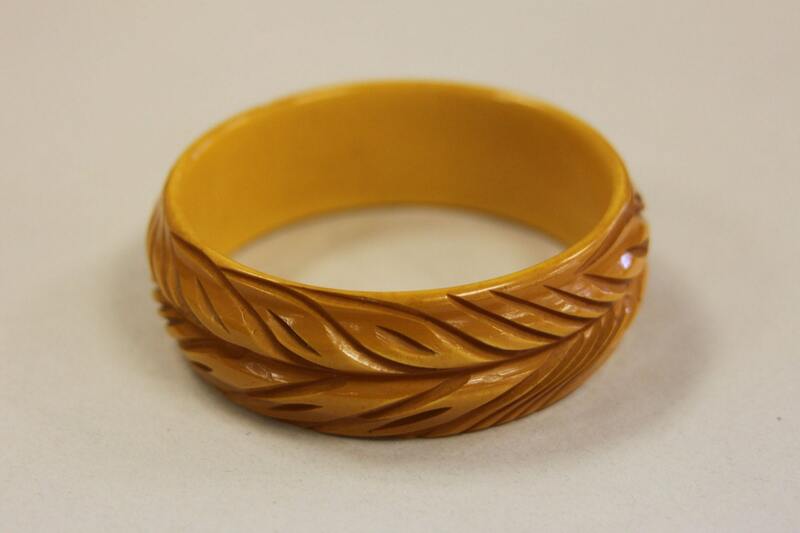 1930's original vintage carved Bakelite. Additional individual photos upon request. 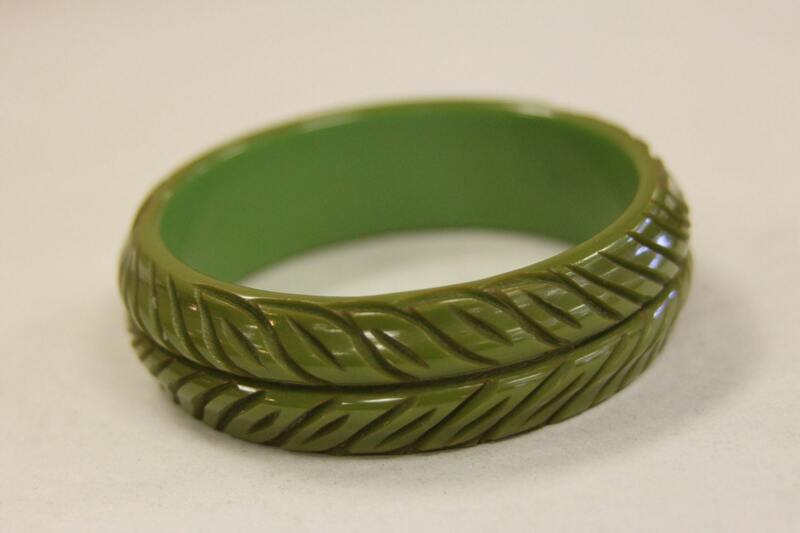 I have another bracelet in this pattern that is white celluloid color, it has a bit of damage, but will be included in the set if you would like a photo email me at kimlovesvintage [!at] gmail.com. I do not want to break this set and sell individually, sorry.